Under direction performs basic to moderately difficult secretarial and clerical duties. Performs a wide variety of secretarial work, including typing, proof-reading, filing, checking, drafting correspondence and recording information from rough drafts, notes, or general instructions. Files materials, prepares mailings, and duplicates materials. Tracks budget expenditures and money collected. Operates a variety of office machines including copiers, calculator, switchboard, folding machines, etc. Answers telephone and serves as office receptionist. Schedules and cancels appointments. Enters and retrieves data from computer system in appropriate format. May perform other related duties as needed. Experience: Responsible secretarial/clerical experience in an office environment. License: Valid driver's license is required. Knowledge and Abilities: Ability to operate standard office machines and equipment. Knowledge of modern office practices. Knowledge of and ability to employ correct English usage, spelling, grammar and punctuation. Ability to type at a speed sufficient to maintain workflow. Skill to employ simple mathematical techniques. Ability to assign, monitor, and review the work of others. Ability to receive and follow instructions and appropriately interact with student, staff, faculty and the public. Ability to learn and apply college and district policies and procedures. The initial review will include screening to ensure applications are complete and meet all minimum qualifications. The application requires the completion of Supplemental Questions to evaluate your education, training and experience relative to the required knowledge and abilities for the position. Answers should be as complete as possible, as no additional information will be accepted from applicants once the application has been submitted. Candidates who pass the initial screening will be invited to participate in an unproctored online assessment on job-related items. The assessment process will include an unproctored online assessment (pass/fail), a competency assessment (55% weight), and an oral board interview assessment (45% weight). Of those achieving a passing score on the competency assessment, only the 15 highest scoring candidates, plus ties, will be invited to the oral board interview assessment Passing score is 75% out of 100% on each examination section. INITIAL ASSESSMENT TENTATIVELY SCHEDULED FOR NOVEMBER 13, 2018. To move forward in the selection process, you must complete an online application through our website https://www.schooljobs.com/careers/scccd. Resumes may be uploaded but cannot be used in place of a completed application. Candidates who attain a passing score on the assessment will be placed in rank order on district wide Open-Competitive List. Using the same process, a separate Promotional List will be established and both Lists will be used concurrently. Unless otherwise indicated, the eligibility list will be used to fill current vacancies for at least six months. The current vacancy is at Fresno City College. SUBMISSION OF APPLICATION: ONCE YOU HAVE SUBMITTED YOUR APPLICATION YOU WILL NOT BE ABLE TO MAKE REVISIONS TO YOUR APPLICATION MATERIALS. All required documents must be submitted by the applicant. Personnel Commission staff will not upload documents for you. ACCOMMODATIONS: Individuals with disabilities requiring reasonable accommodation in the selection process must inform the State Center Community College District Personnel Commission Department in writing no later than the filing date stated on the announcement. Those applicants needing such accommodations should document this request including an explanation as to the type and extent of accommodation needed to participate in the selection process. State Center Community College District is currently conducting a classification and compensation study through a third party vendor, Reward Strategy Group. A classification and compensation study is primarily designed to focus on the internal and external equity of both the structure by which employees are compensated and the way positions relate and compare to one another across the organization. 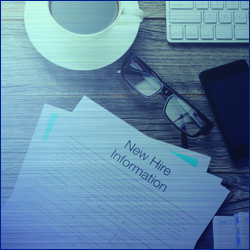 The effects of the study are currently being negotiated and there may be changes to employee's job titles, duties, FLSA status and possibly salary.